The Tropical Mini Combo is available for your event. 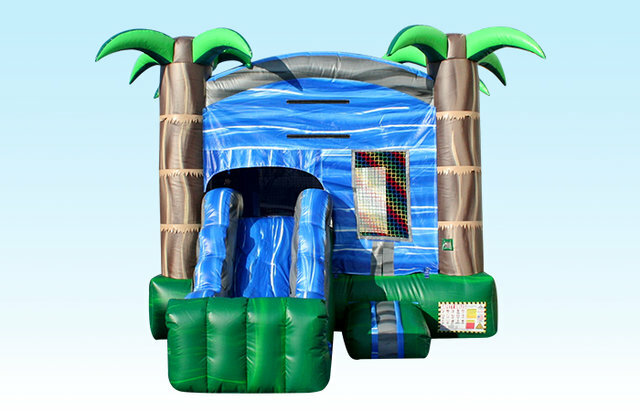 Features mesh netting all around for you to safely watch the child have tons of fun. Make sure to check out our Concessions to add a fun food machine to your rental.